Wentus Blues Band will soon release new music, this time with legendary guitarist-singer Duke Robillard. The new full-length album will be recorded at Lakewest Recording studios in Robillard’s hometown Rhode Island during the upcoming February. The idea of ​​a shared album has been mildly warm for years, and to the stage of decision it matured after Robillard and WBB’s Robban Hagnäs accidentally met in Copenhagen a couple of years ago. – Soon thereafter Duke thought the time is now right for the album, Hagnäs says. The album comes with songs made by both Robillard and WBB. Probably also a few cover songs, Hagnäs suggests. 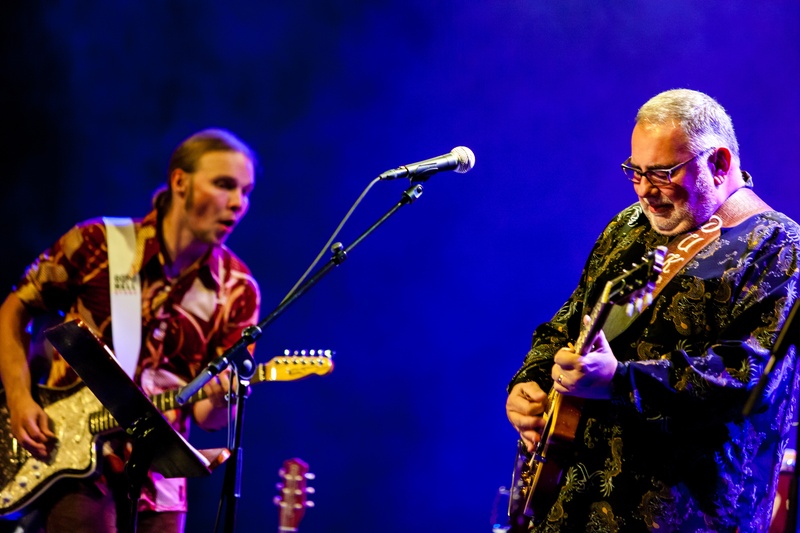 The collaboration between Wentus Blues Band and Duke Robillard began more than 30 years ago in 1987 in Kokkola, when a young band at the time got a sudden chance to warm-up the world star. Since then, it has deepened into a warm friendship. Robillard has also visited WBB’s 30th annversary and made a joint tour with the band in Sweden. According to Hagnäs, the coming album marks a kind of a circle closure for the Wentus Blues Band. – Of course our friendship will last and we will hopefully continue to cooperate in the future. Duke Robillard (b. 1948) is especially known as a blues and rock musician, but he has also performed and recorded jazz and swing. He is a founding member of the Roomful of Blues band or over 50 years and was a member of The Fabulous Thunderbird. Wentus Blues Band is Finland’s most international blues band. The band’s previous album Throwback, released in 2018, received excellent feedback from, among others, the US and Australia. The album ended up on Living Blues Charts, Roots Music Report and Australian International Blues Charts.